Family kitchen diners certainly add value to a property but most importantly they enhance family living. 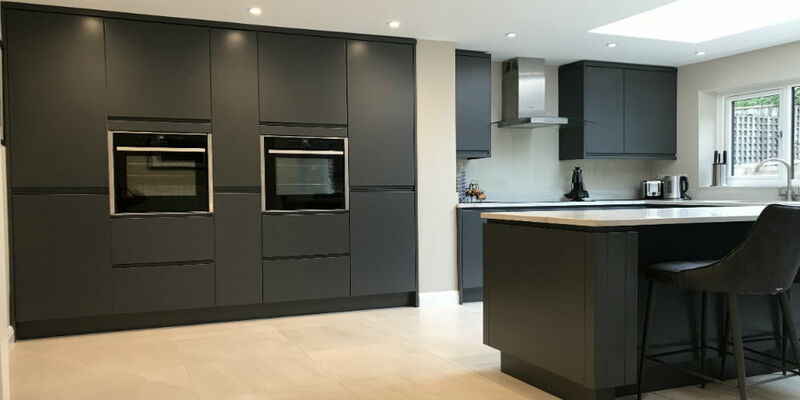 This project involved the doubling of the old kitchen space to create a kitchen diner. 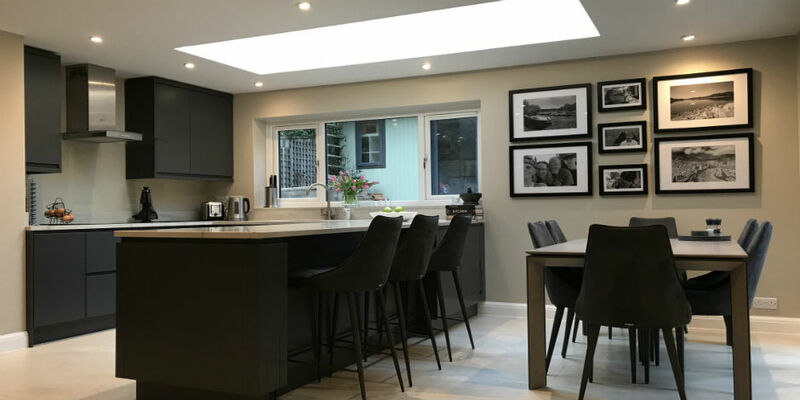 Whilst we could have dedicated the extended space to the dining area, we wanted to make the most of the natural light and allow both the kitchen and the dining areas to benefit from them. The kitchen is from Symphony, the worktop is Bianco Macaubas Quartzite and the tiles are Lakestone from The Tile People in Haywards Heath. The lighting is on 4 circuits; 2 for the main downlights, one for under cabinet and then an LED strip around the roof light. The flexible lighting scheme enables light levels to be adjusted to suit the function and mood. As a family living space it has been a great success, having already been used for a family birthday and lunch for 16 adults at Christmas. 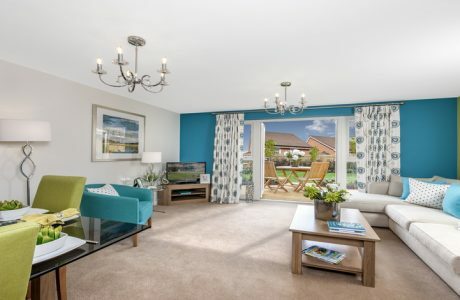 It’s a light filled room which all the family want to spend time in.